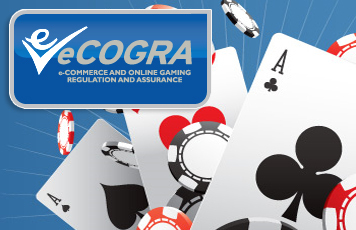 With the European iGaming Congress and Expo now on the immediate horizon – it takes place 15 to 17 September in Copenhagen this year – organisers Clarion Gaming have issued the program. EiG 2009 will be opened by Denmark’s Minister of Taxation, Kristian Jensen, who is leading the proposed changes to Denmark’s regulation of online gaming…one of many major announcements expected to be made at EiG. David Yu, CEO of Betfair, will provide his insights on the future of iGaming as part of the strongest ever line-up of online gaming leaders. Sitting with him on the Industry Leaders’ CEO Panel is Norbert Teufelburger, co-CEO of Bwin, voted the most influential igaming company in 2009 in the Power 50. They will be joined by 888 Group’s CEO, Gigi Levi; PartyGaming’s CEO Jim Ryan; Ed Andrewes, MD, Ladbrokes eGaming; and Henry Birch, CEO, William Hill Online. Other notable news makers speaking at EiG comprise the former CEO of PartyGaming, Mitch Garber, who now heads up Harrah’s Interactive Entertainment; and Elizabeth Parize, the CEO of acquisitive Mangas Gaming group who have made several high-profile purchases lately, will be speaking about her view of the macro environment in online gaming to 2012. The full speaker line-up for EiG 2009 is comprised of over 90 of the world’s industry experts including top-level decision makers from Betclick, Blue Square, PKR, Intertops, Poker Heaven, eGaming 2.0, Virgin Games, Paf, Barriere Interactive Gaming, Bodog, Sbobet and dozens more. Key topics to be discussed at EiG include customer retention and acquisition; the ever fragmented and shifting regulatory landscape across Europe and the world; and a focus on product innovation and distribution channels to reach a wider audience. Looking outside the industry, the organisers have managed to secure a keynote from renowned author of “Billion Dollar Lessons – What you can learn from the most inexcusable business failures of the last 25 years” and business expert, Paul B. Carroll who will offer practical advice on business mistakes to avoid as EiG delegates plan for the future. Christian Lindholm, the ‘godfather of mobile phone users’ and creator of the Nokia Series 60 user interface, will offer a further keynote on the evolution of mobile gaming; while Google’s James Cashmore, key decision maker behind the reversal of banning online gaming adwords, will be a Keynote for the Online and Affiliate marketing track. Don’t miss your opportunity to network with over 1500 industry leaders and decision makers from over 60 countries by registering online at http://www.eigexpo.com/2009/?page=registertoday.